An organization that analyzes charities is helping people get the highest return on investment on their donations by putting together 10 high-impact charities into a single fund, called the Canadian Charity Impact Fund. 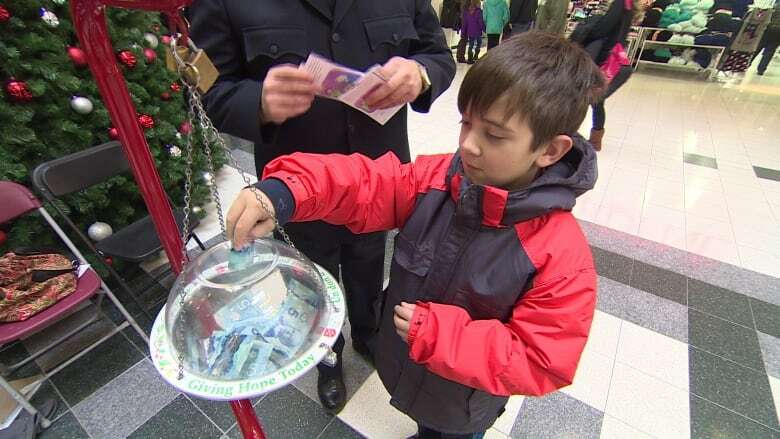 Charity Intelligence Canada says it has found the top ten Canadians charities when it comes to getting the most bang for your buck. "We found this group of 10 organizations in Canada that were producing $9 of social benefit for every dollar invested — far above the average," said Kate Bahen, managing director at Charity Intelligence. Charities in the Western world produce two dollars of tangible economic benefit for every dollar donated on average, according to Bahen. Charity Intelligence has come under fire, in the past, for treating charities like corporations in its ranking system. Bahen admits that charitable donations produce many non-tangible benefits. But she says Charity Intelligence focuses on the measurable differences organizations make with the dollars they receive. "At the end of the day, we're looking at their bottom line results." She says that approach stems from demands from donors — a desire to know how much of a difference their donation made. Many donors want to give their money to a local charity and donating to Charity Intelligence means that doesn't always happen. The fund's top ten high impact charities are spread across the country. Bahen acknowledges the trade off donors make when they choose Charity Intelligence. But she says people who give to Charity Intelligence focus on giving forward, no matter which community benefits from it. "I still think it's very much a niche product," she said, about donating based on social returns. Charity Intelligence looked at the books of 650 charities and put that information on their website. Potential donors can look at charities' financial transparency, accountability, cost efficiency, and administrative budget. Charity Intelligence's own charitable status was revoked by the Canada Revenue Agency in 2012 after the self-styled charity watchdog failed to file an annual financial report with the tax agency. As of November 2015, Charity Intelligence Canada is, once again, a registered charity, according to the CRA website. These are the 10 organizations that made it into the Charity Intelligence's Canadian Charity Impact Fund. To listen to the full audio, click the link labelled: New charity organization focuses on social returns. With files from Wanyee Li.